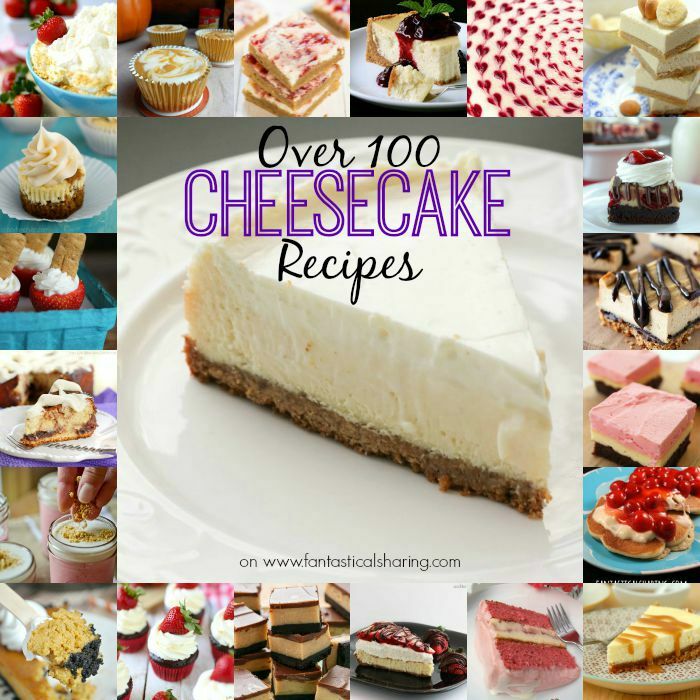 I totally missed yesterday's National Cheesecake Day, so I've worked all day going through all my boards on Pinterest looking for any cheesecake themed recipe - and I found over 100! I hope you all enjoy and find something you will love! When I was first married, I made skillet potatoes ALL. THE. TIME. I'm talking all the time. It was always my go-to side dish. I stopped making them, not because we got sick of them, but because we try not to eat a ton of carbs. 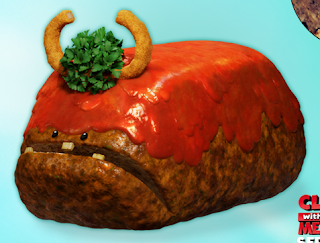 If you're eating a ton of potatoes and pasta and bread...it's a bit much. Since we don't eat potatoes a lot, it's a treat when we do. I particularly love hashes and anything where you have peppers and onions fried up too. In the last two or so years, I've become a big fan of kielbasa, so I was incredibly excited to try this recipe. It was everything I was hoping for. You get a nice crispy edge to the kielbasa when you fry them up. The potatoes are just everything. Really. And then you get practically caramelized onions and peppers. YUM!! This month, I was assigned to Kate's blog, The Colbert Clan. As always, I picked out my recipes first and then read the about me, which I promptly got sucked into. Kate is, without a doubt, a strong lady. Within a year's time, she had her first child who was born 2 months early and lost her husband. Kate tells both these stories on her blog. Fast forwarding to now, she is remarried and is a mom of three. She has a beautiful family! I pinned a few recipes to try that include: Cheesy Pesto Pull Apart Bread [pesto is life! ], 3 Cheese Chicken Alfredo [hello, three cheeses?! ], Doritos Taco Salad [I just think this is a good idea], Samoa Bars [because Nick loves them], and Caramelitas [I've always wanted to try them]. In the end, I chose her Fiesta Queso Burrito recipe because I needed something for Taco Tuesday! This recipe is very filling and oh so good! I had to swap the queso Kate used for one that I could find/knew of, which is Laughing Cow's Creamy Queso Fresco Chipotle Cheese. It with the Rotel added a bit of heat to the recipe. I was also impressed with how well they reheated the next day. I typically will not eat anything soft shell reheated, but these were on point! Good morning, everyone! It's been a while since I have participated in Sunday Supper. I've been very excited for this theme though: Restaurant Copycats! This recipe makes 75 copycat recipes posted on my blog. I was not expecting to enjoy this copycat recipe as much as others because, in truth, I've never had the recipe from the restaurant (nor do I know if they still have it on their menu). Plus, I don't like honey..and I was incredibly skeptical of the dressing. I made this recipe while pregnant and having my chicken aversion...and then proceeded to make it an additional 2 times before Mason was born. This is completely unheard of for me to make a recipe that many times within a short amount of time unless I really really really like the recipe. Plus the fact that I really didn't want anything to do with chicken while I was pregnant. If that isn't enough to convince y'all that you must try this recipe, I don't know what is! In addition to the lovely honey dressing, this salad has crunchy, crispy, fried chicken (not the most healthy, but hey...it's alright to indulge a little when the rest of the recipe is veggies, yes? ), tons of cabbage, cucumbers, and almonds. It has a perfect mixture of savory and sweet. There are some recipes that are on my favorites list because they are so incredibly good, but also so incredibly easy to throw together. I am not one to stray from complex, time-consuming recipes. However, I do enjoy the occasional recipe that you throw together all in one dish and cook/bake without having to stand over it. This Oven Denver Omelet is precisely that. You stir all the ingredients together and bake it in the oven. There are very simple ingredients, but it comes out so delicious that it's hard to stop yourself from eating the whole pan! This Good & Garlicky Sweet & Sour Pork is another simple recipe. I feel like as a family, we don't have pork as often as I'd like. Most of what we eat is beef, chicken, and turkey. I guess sausage too, but pork chops and pork tenderloin are rare. I don't have a lot of pork recipes in my arsenal either which could be part of the problem, but this one is fabulous. I cannot tell you how much I cringe when I see a recipe pop up that I made in New York. Something about the lackluster living situations with horrible lighting in the house plus pregnancy made me not even really attempt to get a good picture. [as seen above] I hope to make this very soon because it's one of my favorites and the picture DOES NOT do it any justice. Pineapple salsa is unbelievable and I love pairing pineapple with meats - it's such a surprise to have sweet and juicy pineapple with meats other than ham (Hawaiian pizza, anyone? ), but it's definitely something I recommend trying! It's hard for me to decide on favorites of anything. Favorite book...favorite candy...favorite animal...and pizza is definitely included. I love supreme pizza and meat lovers' and pepperoni and cheese and vegetable and HAWAIIAN. I love Hawaiian pizza. This recipe stays pretty true to the classic with just the addition of bacon to the ham/Canadian bacon. Plus I made mine with a stuffed crust because regardless of toppings, stuffed crust is my favorite crust! 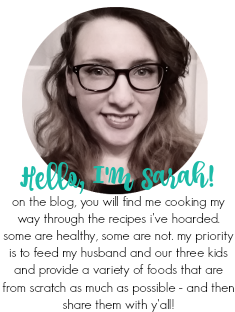 It was time for a little blog facelift. I was a little bored with the food on top and how large my header was. I am still going to try and incorporate some more stuff into the sidebar eventually, but for now - the basic structure is here and I LOVE IT! I'm hoping by September to announce a new addition to the blog (no, not a kid!) and I thought it would be nice to make things look new and more simplistic. Last year for my birthday, I got an ice cream maker and Ben & Jerry's cookbook from Nick. Ecstatic doesn't even begin to describe how I felt. I love ice cream and have wanted the attachment for my KitchenAid for FOREVER. I just didn't want to spend the money. I often underestimate how much I am going to love recipes when I see the simplicity of the ingredients. I looked at this one and thought "Meh. Tacos" because it's just ground beef with taco seasoning and taco fixings. I should know by now that I'm gonna be impressed by simple recipes and blown away by ingredients I will throw together in a pinch on Taco Tuesday, not in casserole form, basically when they are actually in casserole form. I have made this quite a few times since that first time making it because it's nice to not always have tacos and the kids enjoy taco salad because it's a little easier for them to eat than when it's in a hard or soft shell. I personally doubled the meat when I made it and I have plans to double the beans next time as well. Bell peppers or even a jalapeno would be a great addition. And cilantro is definitely a must [also not pictured in this initial time I made it]. It's gonna be hot this week. Highs in the 90s ALL WEEK LONG. I think after that it will be more mild...and we're already a month away from school starting. How crazy is that? I'm not gonna lie, I am both super ready and super not ready. The kids are rambunctious as all get out and need a good outlet, but they are helpful with Mason when I need to get something done quickly (like dishes) and he needs distracting...and I'm just now getting him on a schedule which will have to be changed...and I haven't gotten to do some of the things I wanted to do with them this summer due to Nick having to switch jobs :( I am hoping with milder temps at the end of July that we will get to go to the zoo and see the new gorilla babies that were born in June! In other news, I am using my crockpot a lot this week. I hate running the oven in the summer! I'm back again for Throwback Thursday where I post old favorites from years past! I'm excited about today's two recipes that come from 2012 and 2013, respectively. If there is one thing my [older two] kids love, it's hot dogs! And even more so, pretzels from the mall. They were unbelievably blown away when I made these Hot Dog Stuffed Pretzels. I think they thought I was the coolest mom in existence! I have to admit that they were pretty fantastic little pretzels and not too difficult to make. One great thing about living in the South is that produce is pretty outstanding throughout the year. Strawberries are a summer item, but we had great strawberries in the winter. Namely, around New Year's. So I took to making this recipe for New Year's Eve. I was skeptical about the green onions with the fruit, but enjoyed it thoroughly. 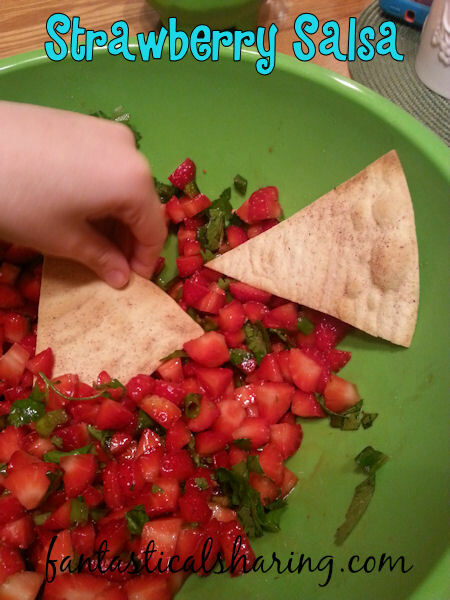 I made cinnamon sugar tortilla chips to go with and it was gone before I knew it. Cami especially liked it - you can see her hand up there! Good morning, everyone! 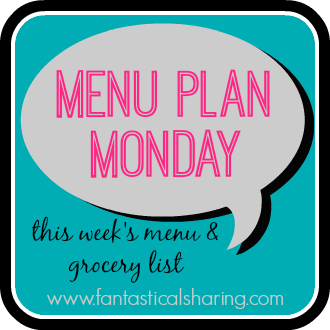 Monday is here again and that means it is time for me to share what we are eating this week. I guess I didn't realize how much red meat was on the menu, but I'd be lying if I said I wasn't super excited about it. I've taken to planning "throwback Thursdays" now, but this week has a lot of recipes I've already made in it. Yesterday was a lazy day, so I haven't shopped yet. I hope to do that today if I can fit it in. I saved this recipe when I had Amy's blog, Fearless Homemaker, for my Secret Recipe Club assignment a few months ago last May. Apparently, time flew by since I made her Maple Bacon Cinnamon Rolls. I made it late last summer while at Nick's mom's house and it was a hit. Our kale obsession was just starting and I was basically making anything and everything I could with kale in it. Plus I was on a quinoa-eating spree too. I wasn't really feeling a lot of chicken dishes (since I was pregnant at the time), so this recipe was definitely one of my favorites I had made in a while.